Naoko works in the intersection of money and meaning. She is an advisor and author in the area of microfinance, social entrepreneurship and impact investments. Her passion lies in advocating a much more effective and efficient use of resources, especially capital, and promoting innovative social/business models that provide sustainable solutions to tackle poverty. Born in Japan and raised in El Salvador and Guatemala, Naoko worked for 16 years in senior positions for several financial institutions in Tokyo and Zurich. 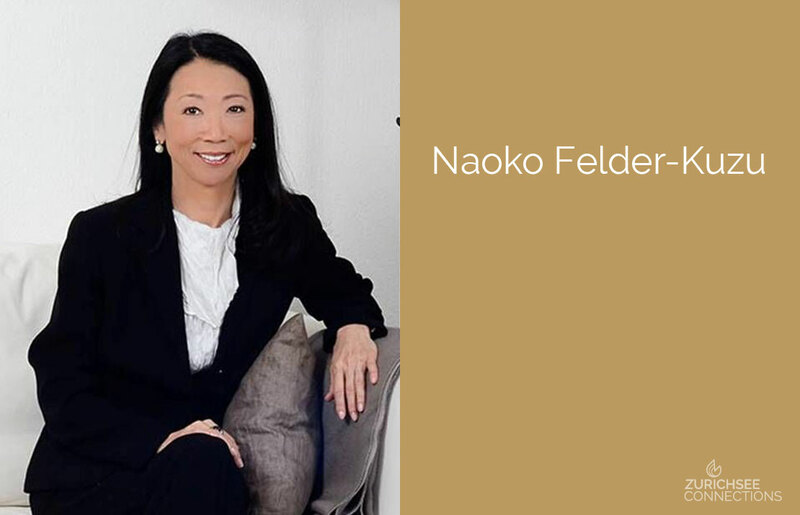 In 2000, Naoko established NFK Felder Consulting to raise awareness on microfinance investments. In 2004, she joined the board of Frey Charitable Foundation, a Swiss family foundation focused on social entrepreneurship. In 2010, she co-founded Socential Ltd., a Swiss social impact organization that connects donors and social enterprises through its online platform, sosense.org. She is currently part of the founding team of Karma, a start-up that aims to make giving simple, engaging and rewarding through online and mobile games. 1. So tell us Naoko, how did your involvement in Microfinance start? In 1999, I came across an article on Grameen Bank, a bank in Bangladesh that made tiny loans ($20-$200) to the poor. The loans were made mostly to women for income generating activities such as buying raw materials to make bamboo stools, or for buying goats and cows to sell their milk. These loans were helping many people to help themselves out of poverty. The borrowers also learned to save and the bank had made all borrowers buy one share of the bank through their savings so the majority of the shares were owned by the borrowers. The bank had expanded successfully and it had opened over 1000 branches in Bangladesh. (Today, more than 2500 branches!). The bank was not only self-sustaining but profitable because its clients (the poor) were creditworthy and paid back their loans. Average repayment rate was 98%. I was blown away at this business model! I had never imagined that “help for self-help” or “supporting the poor” could be made in a sustainable and commercial way. 2. You mention in your books about the growing convergence of the social and business worlds. Why is this happening and why is this a growing trend? Over the past 10 years we have seen that these two worlds (social and business) which used to be very far apart have been growing closer. In fact one should include in this convergence a third world which is the public sector or governments. The social or citizen world has been incorporating business principles in their operations to improve their effectiveness, achieve sustainability and to show their impact in measurable ways. The private sector or businesses that looked at maximizing profit as their only one goal have been slowly embracing other goals such as sustainable development and social responsibility. There is much more “common ground” in terms of the language and tools that they use and thus, there is much more collaboration and partnerships between these worlds. Needless to say, the global challenges that we face in the areas of environment, poverty, health, and peace can only be tackled effectively through the collaboration of all 3 worlds. The exciting thing is that this is happening! 3. Which are the most influential social entrepreneurs/ companies of all times? In my view, Mahatma Gandhi, and today Bill Drayton, founder of Ashoka and Muhammad Yunus, founder of Grameen Bank and Yunus Center. 4. What is the difference between Microfinance and Microfranchising? Microfinance is financial services (small loans, saving facilities, insurance, money transfer services) to the poor or underprivileged. Microfranchising is a replicable and proven business that can be franchised with a minimum cost. Many poor people in the world are hardworking but not everyone is an entrepreneur, neither in emerging markets nor in developed countries. If there were microfranchises that one can start with USD 100 -1000 that would create not only income but jobs. 5. You have written several books, was writing something you always wanted to do? Not at all. I don’t think of myself as a good writer and had never thought of writing a book. “Making Sense” came out of my urge to spread and share the concept of microfinance and microfinance investment, especially amongst business people. I really thought that if people would get to know that it is possible to “do good and do well” they would be inspired to get involved. “Microfinance and Beyond” was a follow-up, expanding on the topic to include the new social/business models such as microfranchising and how all of us could make a difference. I continue to share and update on this topic, on inspiring people and organizations through my blog/journal. 6. Who do you owe your success to? My parents, my husband and my close friends. 7. Which website/magazine inspires you? Kateigaho International is my favourite, a beautiful magazine about Japan’s arts and culture. Websites I use: Huffington Post to stay informed, google to search and I really like the Flipboard App on I-Pad. 8. Which place in Switzerland would you recommend to read and (spiritually) detox? I love to sit, meditate, read or walk in places that have a beautiful view of the lake of Zurich. Looking at this view gives me inner peace. 9. And your favourite holiday destination? I am a beach person so Anguilla, Culebra and the Maldives. LOVE, my husband, friends, SUN, pasta pomodoro and chocolates. 11. Which food would we always find in your fridge? Berries, parmigiano reggiano, a bottle of Ruinart champagne. 12. And finally, which style or item identifies you? My basic outfit is black and white. Sometimes I combine black with other colors. I always wear one big ring. My favorite ring is the one I had recreated by Philippe Pfeiffer, using a cat’s eye stone of my mother’s ring which was mounted on moonstone and white gold.